The New-York Historical Society and the DiMenna Children’s History Museum are proud to host a young writers workshop in partnership with Writopia Lab, a nationally recognized non-profit organization that has led workshops for kids ages 8 to 18 since 2007. This unique Historical Fiction Writing workshop will be co-facilitated by a New-York Historical Society educator, who will introduce the writers to many different themes related to the Civil War. 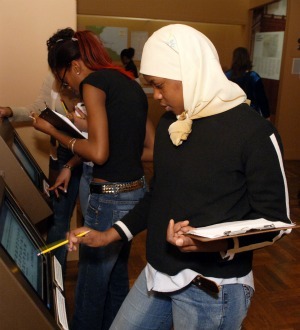 The New-York Historical Society and the DiMenna Children’s History Museum are proud to host a young writers workshop in partnership with Writopia Lab, a nationally recognized non-profit organization that has led workshops for kids ages 8 to 18 since 2007. 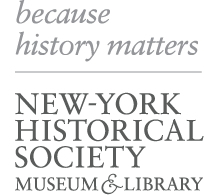 This unique Historical Fiction Writing workshop will be co-facilitated by a New-York Historical Society educator, who will introduce the writers to many different themes related to the Civil War. They will be presented with artifacts on display from that era and invited into the museum library to view documents, maps and letters from the collection not currently on display. These rich resources and experienced educators will help these young writers grow their ideas into stories. There is a very limited number of spaces in order to keep the student to educator ratio low. To register or for more information, please call (212) 873-3400 ext. 374. Writopia Lab is a 501(c)3 non-profit organization founded in New York City in April of 2007. Writopia runs creative writing workshops for kids ages 8 to 18. Writopia provides a safe space for kids and teens to find their voices. In the workshops, kids write, share their work with their peers, and receive both positive and constructive feedback designed to improve their writing. All workshops are led by published authors trained in Writopia's award-winning method. In each of the past four years, more kids from Writopia Lab have been recognized on both the regional and national levels by the Scholastic Art & Writing Awards than from any other school in the nation.